There are great fly fishing blogs but there aren't that many about fishing around North Carolina. Or at least that I have found recently. I'd like to list the ones I've found so far in case anyone else is searching for the same thing. North Carolina River Fishing And Conoeing with Mack has a title that pretty much sums it up. Mack has an extensive knowledge of fishing around the Triangle. There are plenty of great posts and pictures on his blog and he also enjoys hunting. The passion for these sports is obvious and it's also easy to see he loves sharing his adventures with his son. 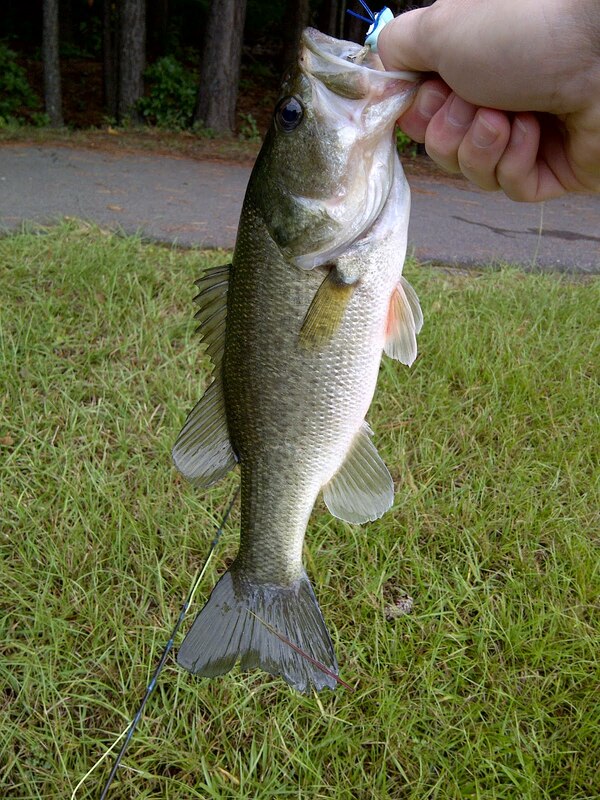 Fish Whisperer is another great blog about fishing in the Raleigh area. The author hooks up with some big fish. I've been trying to hook up a time to fish with Mack and the Author of this blog for a day on the river. Mike's Gone Fishin'... Again is a very popular blog. The pictures and posts are great and the writing has a lot of depth. Mike is a fellow member of the Triangle Fly Fishers. He is a great guy and we both hunt bass on the same local river. He's a lot better at it than I am. Fly Fishin' Blues is written by another local angler and TFF member. The blog is just getting started. Hopefully the writing will be as entertaining has this character is in person. Copin' With A Fly Rod is a new blog about fly fishing the local waters of the triangle. I think maybe though this blog was inspired by Copes son who recently started a blog of his own Fly Rod Therapy. It's a new blog and this kid is a good writer and fly fisherman. It will be interesting to see what kind of posts come out of this. Seven Bridges Rd is a new blog I was turned on to by a fellow angler. It's pretty good from what I've read so far. The posts are mainly about chasing trout in the Appalachians. The Trailmarker is written by Lance Milks. Lance came and gave a presentation at one of our TFF meetings. I had some time to sit down and talk to him afterwards. He's not only an accomplished fisherman but also guides backpacking trips and is starting a Tenkara fishing guiding service. Those are the only local blogs I can think of for now. If anyone has some others they'd like to share about fishing in the NC area please put them in the comments section. This blog probably has more fly fishing report info than any other blog I have found. It's is called Tar Heel Fly Fishing. 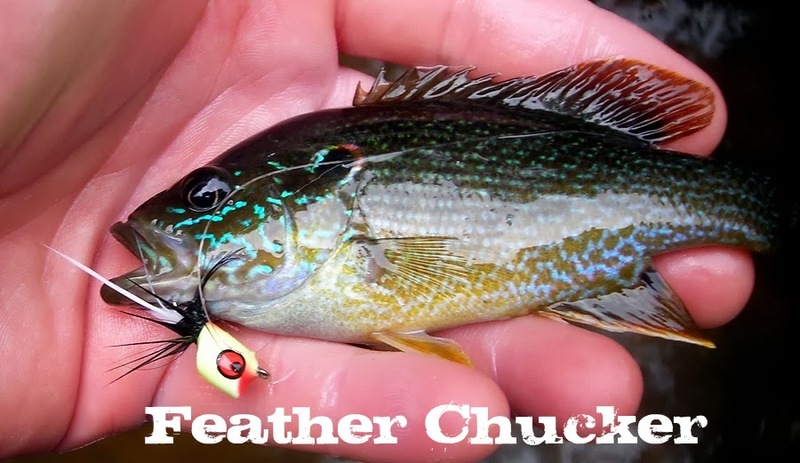 The author goes over predictions, what flies are hot and what waters are prooving to be the best to fish. Definitely a blog to check out before you plan your next nc trout fishing trip. I love reading blogs and it's also nice to leave comments now and then. There is a common trend which has an understandable logic but the process is horrible. At least for me. There's a function blogger uses to deter spammers that makes you type in a code then a number before commenting. No big deal right? It shouldn't be except for the fact that either the numbers or the letters you have to type are almost impossible to decipher. Here's an example. I can kind of make out the letters but WTF is the number? Who can read that? Is that a 4, 1, or a pixelated 11? I'm trying to leave a comment not decode a forensic image. The problem with this is I usually have to do a few tries before I'm able to leave a comment. Many times when I first see this page I just sigh and I have to admit it almost makes me not leave a comment. Now I'm sure some reading this feel my pain and I'm sure others could care less. If you have this an haven't had that many comments left by me don't take it personally. It was probably due to the fact I couldn't read the alien language or blurred image that doesn't resemble anything close to a number or symbol. I also just wanted to point out I don't have this set up and I have had anonymous spammers try to post things to my blog. Blogger is catching those and preventing them from showing. So please take my post as a desperate attempt to make you stop using this so I can leave comments then circle back and see if you've responded to my comment so my narcissism can continue. Last night I received a call that my father had passed away. My father has been having health problems but I still wasn't prepared for it. The relationship with my dad and I has never been very close. My parents were divorced when I was 7. Growing up I learned what it was to be a man by seeing others and taking traits that I liked and incorporated them into my own personality. I used to struggle all the time wondering why I didn't have a father like other kids. I eventually came to the conclusion that god was using my father as an example of what not to be like with my kids. Last summer my father was in the hospital and no one was too sure if he was going to make it. I flew out to CA to see him and when I left the hospital I had a feeling it was going to be the last time I'd see him. I think I said my goodbyes then. So when I received the call last night I was sad but not totally distraught. I stayed home from work today and wondered if I was in shock and maybe a bunch of feelings would come rushing back to me. Honestly I would get these feelings when talking to family members calling to see how I was. I laid in bed and tried to figure out how I was supposed to act. I wasn't sure if I was supposed to lie in bed all day or look at old pictures reminiscing. I finally decided to go fishing. On the water I always have time to think and reflect on things. The top water bite was on fire the first hour I was there. It was exactly what I needed. I'm still a little confused on exactly how I feel. I'm pretty sure my dad would have wanted me to enjoy myself than sit around and mope all day. I have always been amazed at the ability of artists. It seems almost like a super power to pull something from imagination and paint it with expert precision. There was a recent Artspark festival in Raleigh. One of the exhibits was graffiti artists. I came across a guy painting a Land Rover. He was painting a log using a spray paint can. The detail on the reeds and grass was amazing. It looked almost like a hi-def photograph of grass. The brown log looked pretty good too. I found out later that was just the beginning. The brown was just the base of the log. 30min later the logs looked like this. My brain had a hard time interpreting how this was even possible. Especially how it was done in such a short time frame. The talent of artists like this blow me away. The streets seemed to be oozing talent wherever you looked there was amazing works of art. There were street artists showcasing their talents as well. All I could really say after is WOW. Some of the street painting were just getting started so I think we're going back again tomorrow to see the paintings finished. Sorry about the lack of fishing posts lately. Work has been super busy and my weekends have been spent doing family activities. Hopefully I can find time on the water soon. An exhibit today had a insect sample from a local river. There were nymphs that I didn't think lived in this part of the state. Stonefly, mayfly and helgramites were all found. I need to re-think how I fish certain rivers.